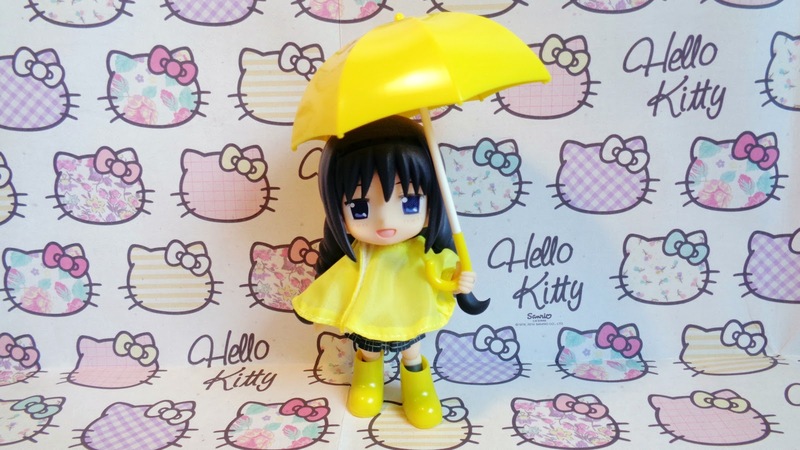 This set is the Rainy Day Set in yellow, the other colours it comes in is blue and pink. I chose the yellow as it is such a cherry colour. 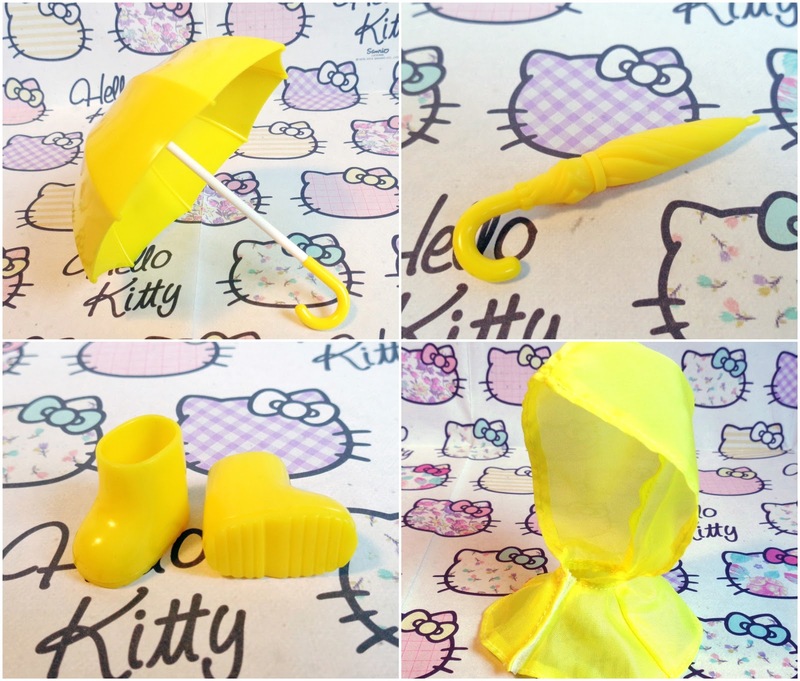 Now the set comes with an open umbrella and a closed version, rain boots, and a raincoat. The umbrella's work well and my only issue with the rain boots is that they are made of a soft rubber rather than plastic and I can see dust and dirt sticking to them. 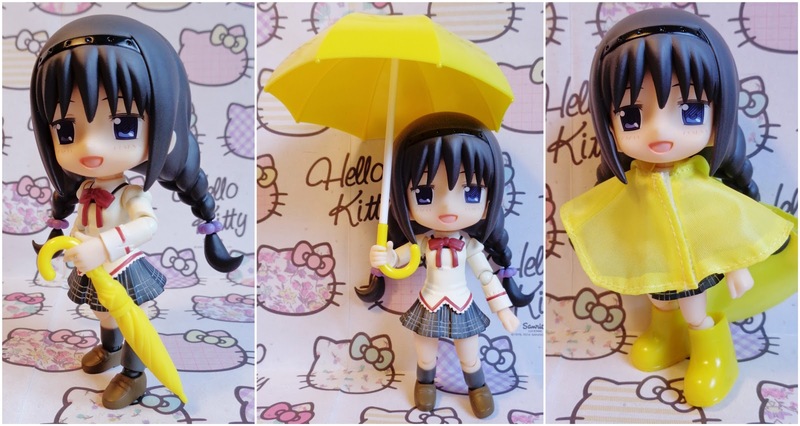 The rain coat also has some issues as the hood does not work with Homura on accounts of her two pony-tails. It would have been great if the hood was detachable or if it was simply a poncho. Despite these few complaints it is a good set and is affordable, so I do recommend for collectors of the Cu-poche line.